Welcome to the Saturday Smash-Up, a weekly recap of all of the new and exciting information from the week in Smash Pics of the Day. What am I talking about? Well, here’s a primer: Since the announcement of Super Smash Brothers for Wii U and Super Smash Brothers for 3DS back at E3 2013, project director Masahiro Sakurai has been posting daily updates on SmashBros.com, just as he did with Super Smash Brothers Brawl during its development cycle. The update is just a screenshot from one of the two versions, but Sakurai provides a small description of the screen on the Super Smash Bros Director’s Room Miiverse page. Sometimes we see the announcement of a character (most recently with Diddy Kong on February 21st), other times it’s just a goofy pose. Check back here every week for a week’s worth of Smash updates, Sakurai musings, and Fanelli reaction. As the cold weather breaks in most parts of the country, the minds of the public turn to warmer weather, beaches, and ocean paradises. Sakurai, ever the mischievous type, played with those emotions on Friday of this week. 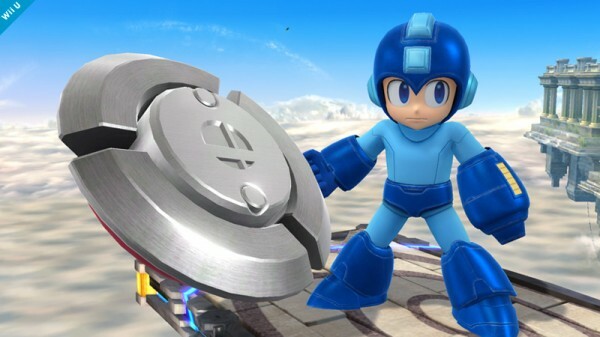 It had been a standard week for Smash news, updates about items and moves and not much else, but we did get a new stage for the 3DS, which is pretty cool. Read on! 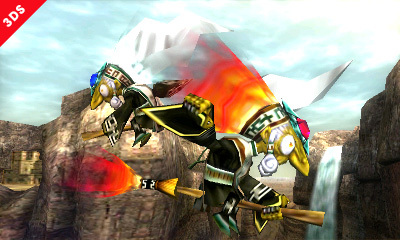 Editor’s Thoughts: Now what are these two doing flying around Gerudo Valley? Perhaps they’ll attack the combatants on stage? Maybe their brooms will act as platforms a la the Arwings in Star Fox stages? I’m not sure, but it’s cool to see little details like this in each facet of the game. Editor’s Thoughts: Speaking of detail, if the designers are putting this much thought into parts of items that we won’t be able to see, I can only imagine what level of detail they’re going for in the entire game. That aside, I’m glad Bumpers are back, I always preferred them to that silly flipper. Editor’s Thoughts: I like that Sakurai specified “so far” when he talks about the most powerful attack in the game; it proves that he’s still tweaking the game to his liking even when we’re in the middle of the supposed release year. I do like that Jet Hammer attack, but charging it up never seemed viable considering how long it took to max out. 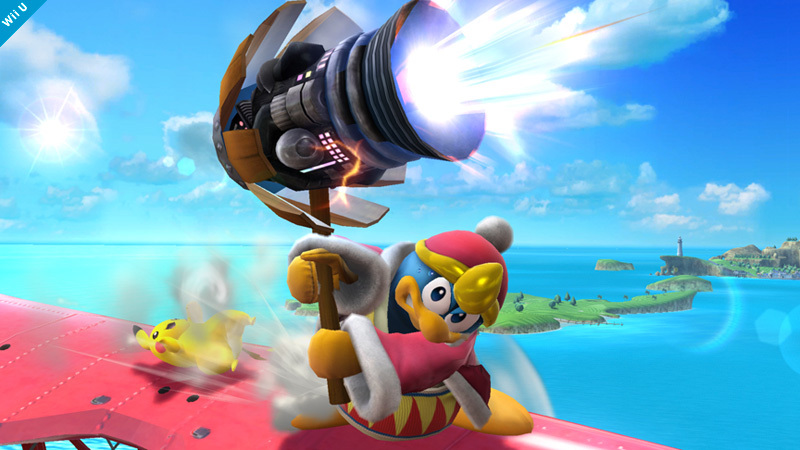 Also, look at Dedede’s face; it looks like he’s having some stomach troubles. 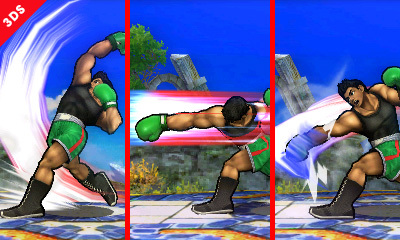 Editor’s Thoughts: It seems that Little Mac’s moveset just got a little more complicated. He’s not the first character to have multiple versions of the same Smash attack (Peach and her golf club/tennis racket/frying pan), but we don’t remember tilting sticks for Smash attacks before. Just one more reason to love Little Mac. 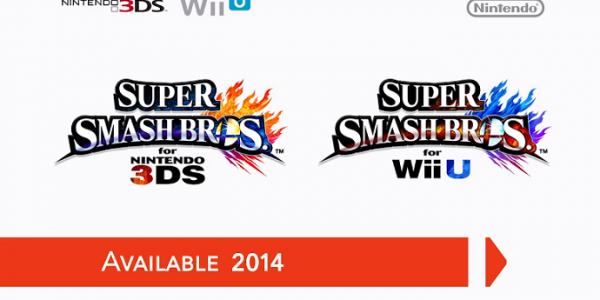 Editor’s Thoughts: Well that explains the picture of Donkey Kong hanging out with Kapp’n back in December. 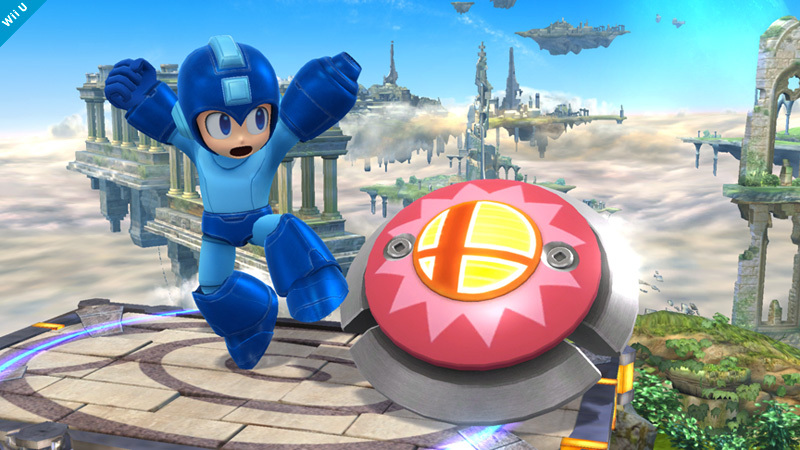 Seeing a new stage just reinforces how awesome each game getting their own stages is: before, multiple stage ideas for one game would mean one or two get used and the rest get left aside, but now there’s more room for more places to fight. 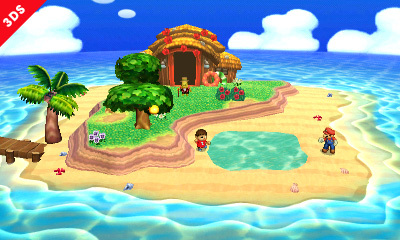 I’m interested to see all of the different island shapes…I wonder if I’ll find the one from my game. That last update really makes me wish I was on a beach somewhere…soon enough. 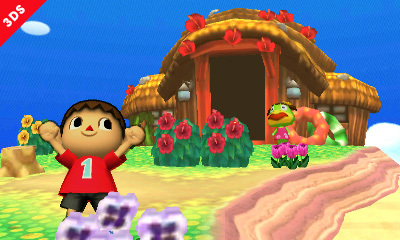 With the new Animal Crossing stage being revealed, I declare that any remix of these little tunes will be perfectly acceptable, as it’s one of the main reasons I sailed to that island in the first place.